A number of Apple iPhone 6 and 6 Plus users have reported to suffers from a hardware problem which is crippling phones. This problem has been referred as ‘touch disease’ which adversely affects the touchscreen of the devices and renders them useless. 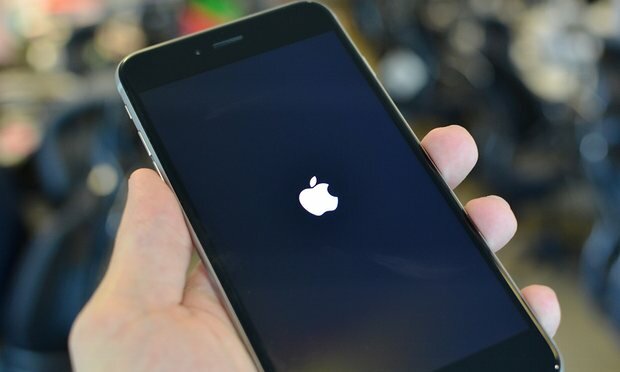 This particular issue first came into notice with the iPhone 6s devices at the beginning of the year but since then it has been reported on a number of iPhone 6 variants. This vulnerability attacks the touchscreen controller chips present on the iPhone devices which hampers the responsiveness of the touch input. Phones affected to the extreme level are simply left useless. At the onset of this disease status bar becomes grey, next it starts flickering and finally the touchscreen stops working. In simple words this vulnerability causes the death of touch screen which is extremely necessary for the users to use the modern high end devices. iFixit which is a popular third party repair resource has released an extensive documented report on this issue. This report reveals that the touchscreen vulnerability is affecting all the three variants of the iPhone 6 indiscriminately and it has emerged as a widespread issue. iFixit officials has asserted that coming up with an exact number of affected phones or estimating their number is out of question. This issue is present in almost every iPhone 6 and 6 Plus devices and it has become so commonplace that it has been dubbed as ‘Touch Disease’. The only available fix for this problem is to perform touchscreen chipset replacement from highly experienced phone repairman. Micro soldering process will be utilized by the repairmen wherein microscopes will be used to solder the irons along with removing and replacing the tiny chips present on the iPhone’s main board. Apple latest smartphones are thin with wide body which resulted in the popular bending issues. Since then Apple has strengthened the overall structure of the iPhone with the launch of iPhone 6S and 6S Plus. Jones has stated that the Touch Disease is a result of hardware flaw in the touchscreen controller chipset. It should be understood that over the time with continuous usage of thin and large phone such devices develops a tiny crack or separation in one of the balls which are present around the touchscreen control chipset on the board. In the beginning it will not cause any immediate defect on the device but with time users will be able to notice screen getting unresponsive quite frequently. As the crack on the balls on chip board deepens the touchscreen will start losing responsive and at the end it will turn completely unresponsive. There is only solution for the Touch Disease and it requires complete replacement of the touch control chipset along with the board present underneath it. Apple’s priority support centers are incapable of performing such task and it has to be done from third party repairs which will cost same as any screen replacement.